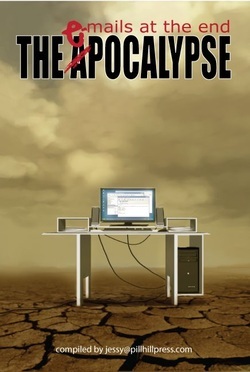 epocalypse: emails at the end (featuring “Just like Cuckoo”, my collaborative story with Brendan Duffy) is now available for purchase, both in tree and ebook formats. With 33 stories inside, you can’t fail to find something you will enjoy! This entry was posted in Writing and tagged anthology, Brendan Duffy, epocalypse on August 10, 2011 by David. Last night I read ‘And the Greatest of these is Love’ from the Flesh and Bone anthology.